It's Movember and these MOlympians, we mean Olympians, couldn't have nailed the spirit of raising awareness and growing upper lip hair any better. For the month of November, hundreds of Canadians, including 24 members of the Canadian Olympic team, have put down their hockey sticks and skates and as a team, raised over $3,600. Aimed at fundraising and creating awareness for prostate cancer and mental health, this year Canadians participating in Movember lead donation boards globally, with almost $18.5 million already pledged to the causes. And these athletes aren't the only teams getting hairy for a good cause. Three official groups under the Canadian Olympic Network also include "Canada S'MO'Board" and the Canadian Olympic Short Track Team, which altogether have raised over $6,800. 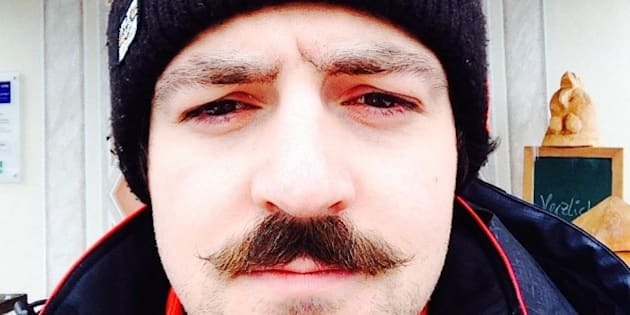 Want to get your 'stache featured on our site? Send us your before and after picture shot to CanadaLiving@huffingtonpost.com. LOOK — 10 of the best Movember Olympian 'staches and what motivates them to keep on growing.